China plans to give Tibetan monks welfare benefits in an apparent attempt to improve 'stability', according to Chinese news reports. Monks can expect pensions, medical insurance and living allowances. The announcement came at a gathering of the Tibetan branch of the Chinese Communist Party. It follows a series of incidents in which monks and nuns have set fire to themselves, revealing continuing discontent in Tibetan areas. The announcement was made by Chen Quanguo, recently appointed Communist Party chief in Tibet, making him the region's top official. "The government will take great pains to ensure that public services such as electricity, water, telecommunications, radio and TV stations are provided to the local monasteries," he is quoted as saying by the Global Times newspaper. He added that there would also be personal help, including allowances, for monks and nuns living in the Tibetan Autonomous Region. Maintaining stability appears to be the motive behind the plan, which could help nearly 50,000 people, says the Global Times. Previously monks and nuns had to rely on monasteries, public donations or themselves to fund daily living expenses, it adds. There was a raft of announcements over the weekend about extra central government spending and policy improvements in Tibet. The government intends to spend nearly $60m (£37m) on farmland irrigation and water conservancy projects. It will also ensure there is more information - books, magazines and TV programmes - published in the Tibetan language. Xinhua, China's state-run news agency, even said that a compensation scheme was helping preserve wildlife on the Tibetan plateau. The project allows herders to claim money for livestock eaten by wolves, thus undermining farmers' need to kill them. The Chinese central government has for a number of years attempted to secure its authority in Tibetan areas by improving living standards for the people who live there. That task has become more urgent over recent months, following a spate of self-immolations by Tibetan monks and nuns, which have taken place in Tibetan areas of western Sichuan province. At least 11 have set themselves alight since March, according to the London-based campaign group Free Tibet. Six are thought to have died. 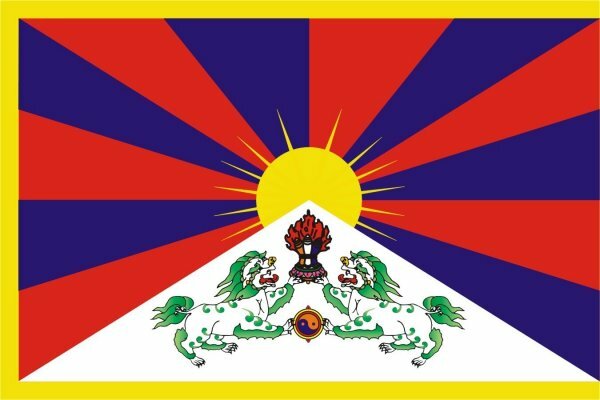 Lobsang Sangay, the new leader of Tibet's self-declared government-in-exile, wrote recently in the Washington Post: "It is clear that the root of the self-immolations is the continuing occupation of Tibet." That is something the Chinese government takes issue with. It blames Tibetans outside China, particularly the Dalai Lama, for stirring up trouble. Tibet's communist chief Chen Quanguo again took aim at the spiritual head of Tibetan Buddhism at the party congress on the weekend. "His plot of Tibet independence and separatism has never changed," he is reported to have said. China also announced at the weekend that "one or two special agents" will be sent by the local government even to temples with less than 20 monks, according to the Global Times. It serves as a reminder that China's government has a two-pronged approach to Tibetan areas: improve living standards - and crack down hard on opponents.